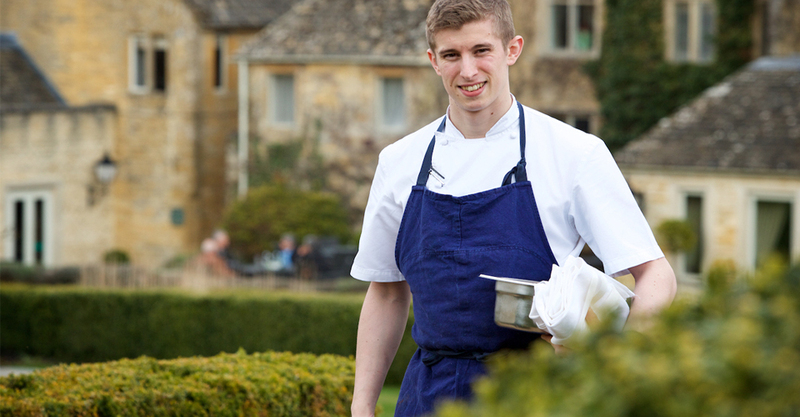 We are delighted to announce the appointment of our new Head Chef, Charles Smith at Lords of the Manor, our luxury hotel in the Cotswolds. Charles joins us with a plethora of experience. His previous role was Head Chef at the four-AA-rosette, Michelin-starred Alyn Williams at The Westbury, where he worked for two years. Charles’s culinary career truly began in his role with award-winning Chef and Restaurateur, Paul Heathcote. He then worked at the Michelin starred Gilpin Lodge and later cooked at Marcus, by Marcus Wareing, at The Berkeley in 2008, during which time he worked his way up to Junior Sous Chef and won the 2011 Young National Chef Of The Year competition. He then went on to gain further experience at Thomas Keller’s three Michelin-starred Per Se restaurant in New York for a year before returning to work as a Senior Sous Chef under James Knappett at Kitchen Table, London. Lords of the Manor has achieved Michelin Star status for over 8 consecutive years and has four red AA stars and three AA rosettes making it distinctive amongst the Michelin Star restaurants in Cheltenham and the Cotswolds. Find out more about our talented new Head Chef here. Why not sample what Charles is creating at one of the finest restaurants in the Cotswolds for yourself? Book a table today!